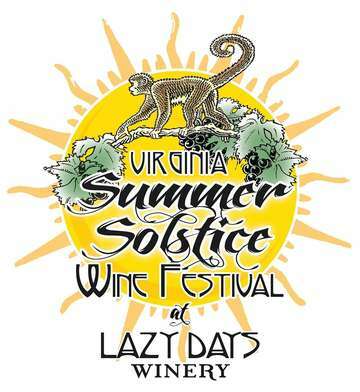 Joins us for the 11th Annual Virginia Summer Solstice Wine Festival June 22, 2019 from 11:00am-6:00pm at Lazy Days Winery. The Virginia Summer Solstice Wine Festival is an exciting event for the whole family. Celebrate local wines, enjoy live music on two stages, great festival foods, local growers, arts and crafts. Wine tasting tickets include a free souvenir glass. Tasting tickets are $20 in advance and $25 at the gate. Admission is free for kids 12 and under.